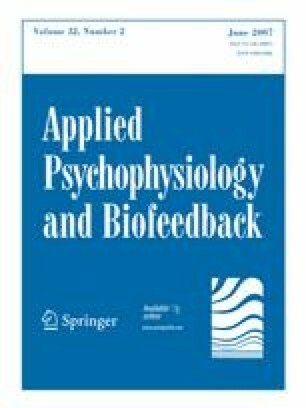 This pilot study aimed to evaluate the feasibility and potential benefits of a novel biofeedback breathing training for achieving sustained increases in pCO2 levels. Twelve asthma patients were randomly assigned to an immediate 4-week treatment group or waiting list control. Patients were instructed to modify their respiration in order to change levels of end-tidal pCO2 using a hand-held capnometer. Treatment outcome was assessed in frequency and distress of symptoms, asthma control, lung function, and variability of peak expiratory flow (PEF). We found stable increases in pCO2 and reductions in respiration rate during treatment and 2-month follow-up. Mean pCO2 levels rose from a hypocapnic to a normocapnic range at follow-up. Frequency and distress of symptoms was reduced and reported asthma control increased. In addition, mean PEF variability decreased significantly in the treatment group. Our pilot intervention provided evidence for the feasibility of pCO2-biofeedback training in asthma patients.